Well versed in the world of dogs, Julie Deans has spent a better part of her life studying and living with these special creatures. 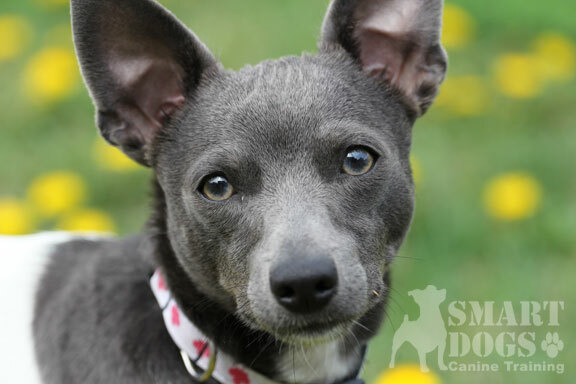 Julie believes in a balanced, clear, common sense approach that is relationship based, and begins with positive reinforcement in a way that both owners and dogs can understand. She also believes in the importance of consequence, both positive and negative, for appropriate and inappropriate behaviours. 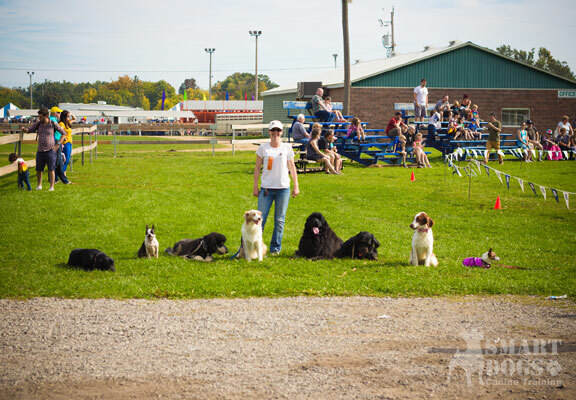 Dogs need the full picture, not just part of it, and Julie prides herself in utilizing all aspects of a well rounded training program. Julie continually updates and educates herself on new, tried, tested and true, and innovative methods to work with her clients canine companions. She is not afraid to try new or different techniques to suit her clients needs and goals. 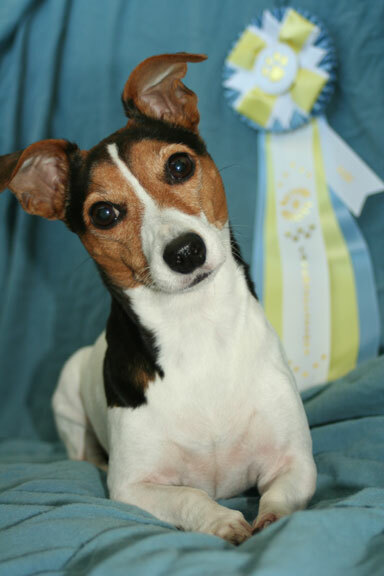 Julie has competed in canine sports including titling dogs in agility (AAC, CPE), rally obedience (CARO & UKC) and terrier trials (JRTCC). She was on the BOD as the secretary and newsletter editor for the Jack Russell Terrier Club of Canada for 2016/17. She is as active as she can be at rally obedience trials, and has bred and raised Olde English Bulldogges. 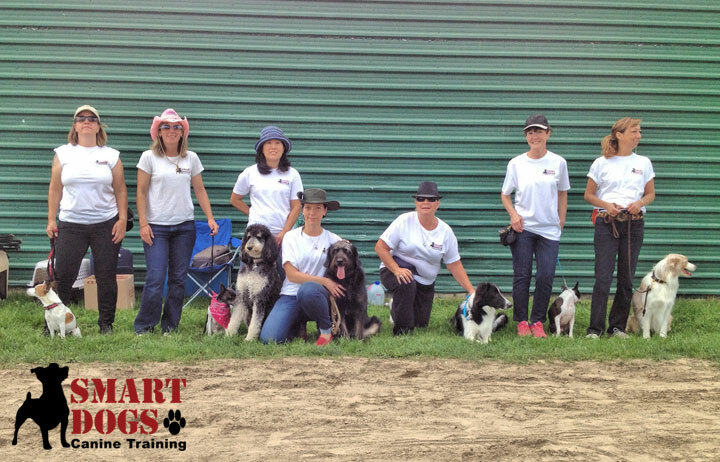 Multiple Training Courses with her own dogs at many different facilities throughout the years. Are you an all positive training facility? No. We believe in balance and in giving the dog the full picture, not just part of it. We feel that both YES and NO are very important in order to communicate to the dog fairly, clearly and consistently. There are four quadrants of operant conditioning, and we believe in using all four when required and when appropriate to help facilitate clear communication to the dog. Absolutely! Food training is the fastest method to teach a dog a new obedience skill or trick. Plus we like to pay the dogs for a job well done. Food also gives the dog a very clear YES and we like to make communication with your dog easier and giving clear black and white instruction is very necessary in order to properly train your dog. There is, however, times where food will not make a difference in a dogs behaviour or state of mind, and so there are other ways to communicate in these cases. That said, if food reward is used correctly, you can significantly improve your dogs behaviour, and even create a calmer more relaxed dog, and who doesn't want that? Do you use training collars? Yes. Not all dogs require the same equipment, however, many dogs benefit enormously from a properly fitted training collar. Some of the collars we use frequently and highly recommend are the Herm Sprenger Prong Collars, the Starmark Training Collars, Quick Release Chain Martingale Collars, and some times we run into dogs that work very well on the Easy Walk No-Pull Harnesses. Do you use corrections in your training? Yes, when required and when it makes sense. We like to give the dogs clear communication in black and white, and offer them clear instruction on both YES and NO. Though we tend more towards reward, praise and pressure, there are times that NO is very important to teach, and this is where correction comes into play. We need to make sure that there is a balance when communicating with the dogs as this is how they learn best. The old adage " you can't teach an old dog new tricks", has never been further from the truth. Though it might take a bit more time then with a younger dog, older dogs can and do benefit greatly from training. We've had 13 year old dogs take our agility classes and you could see the bounce come back into their steps. Dogs love to learn no matter what the age, and like humans, it is important to keep their brains active throughout their lives. Do I play a role in my dogs behaviour ... or misbehaviour? We are firm believers that the energy and emotion that you project significantly affects those around you, including your dogs. So if you want to change your dogs behaviour and performance, often it includes working on the other end of the leash as well. We try to build confidence in owners, change bad habits, create clearer communication, reduce frustration and give them the tools to change themselves so that they can build a better relationship with their dogs. Yes, absolutely! In order to see any improvement in your dog, you the owner, must be willing to put in the time and effort. Dog training is for life, not just for 7 weeks, and the more you put in, the more you get out. Training should be a process that you enjoy, however, it does involve work and stress at times, but the benefits are endless and enjoyable if you put in the effort. AAC: ADC, SGDC, AADC, 2007 4th Place Canada Cup 10"
The very best dog there ever was.